There are a variety of crimes under the Maryland counterfeiting law but all of these offenses involve some sort of fraudulent official document. A defendant can either be charged with manufacturing or possessing a counterfeit document. Not surprisingly it is a far more serious crime to be accused of manufacturing or aiding in the manufacture of a fake document, and this charge is a felony with a maximum prison sentence of 10 years. The most common counterfeiting felony is producing fake checks, but the law also includes other official documents such as bonds, promissory notes, wills, and motor vehicle titles. It is important to understand that there must be some sort of intent to defraud another in order for the state to prove this crime. The state can use circumstantial evidence to prove intent, but it is not a felony to simply make a fake document. If the prosecutor has no evidence of intent you may be entitled to a dismissal under Maryland law. A fraud attorney at The Herbst Firm can examine the facts of your case, and determine what defenses may be available to you. Possession of a counterfeit document is still a serious crime, but is a misdemeanor with a maximum jail sentence of 3 years. Possession of a fake document also requires that the government prove the intent to defraud. In addition, the state must prove that the defendant knew that the document or instrument was a fake. Do not speak to the police if you have been arrested or are being investigated for any counterfeiting crime. Police and prosecutors can use your statements to establish the elements of intent and knowledge, so exercise your right to remain silent at all times. There are a variety of defenses to this particular offense, and an experienced criminal attorney can read over the charges to determine the best possible course of action. There are a few counterfeiting crimes that are listed under separate laws, and may have distinct elements and maximum punishments. 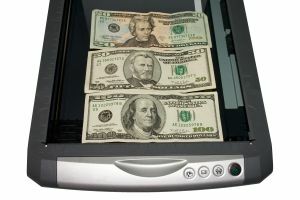 While counterfeiting United States currency is prohibited by federal law, and is investigated by the Secret Service, it is also illegal under Maryland law. State law makes it illegal to manufacture fake money or to even possess or transmit digital templates of currency, and doing so could result in felony charges with a 10-year maximum sentence. The state counterfeit prescription law is unique because it does not differentiate between manufacturing and possessing. Both acts will result in misdemeanor charges with a maximum jail sentence of 2 years. This particular crime has become increasingly common with the growing popularity of prescription painkillers and other controlled substances. Cops and even pharmacies are becoming more aware of the existence of fake prescriptions, and are now looking out for the tell tale signs. Despite the increased level of sophistication of counterfeit prescriptions, arrests and prosecutions are becoming more common. Prosecutors have also taken a more vigilant stance against this crime, and jail sentences are a harsh reality. Unfortunately it is not a defense to actually pay for the drugs and most defendants will have a tough time getting a refund after the pills are seized.